Abandoned Coast Guard station Empire Island is ground zero for an idea whose time has come: casino gambling in the Big Apple. For Bobby Emmet, the fight over Empire Island gets personal when a young husband and wife mysteriously vanish from their rent-controlled apartment. That's when Bobby starts turning over stones in a town full of millionaires and madmen, call girls and choirboys. What he finds astounds even him. The whole city is gambling crazy, and the big guys want in. Suddenly Bobby is playing with the heaviest hitters in New York, including the mayor, the state assembly speaker, and two dueling business tycoons: d one who's into floating casinos, one who's into real estate, and both who are into a famous female tennis celebrity. 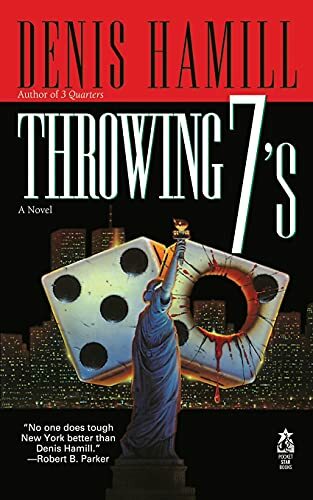 As Bobby tries to figure out who is backstabbing whom and why, he comes upon the heart of the case, one that is connected with New York City's last honest men: a rabbi, a minister, and a priest. No joke. But to find the truth, Bobby will have to enter the one game in town that isn't fixed -- and gamble with his life.